Re-riveting: how do you do it? If a radio comes with missing labels, etc., and you find original labels and want to rivet them to the radio. What is the best way to do it? Any tools that may be recommended? This question also applies to fixing accessory boxes. Generally I avoid the risk of removing the faceplate and damaging it in the riveting process by simply glueing the rivets in place. For accessory boxes I just use a hammer and rivet tools. Sometimes it is impossible to get to them, in which case I use pop rivets which I fill afterwards. The best is probably to use a rivet squeezer, but you only have limited access with those. Thanks FS. I've been picking up a few riveting tools here and there which are good for face plates and boxes. 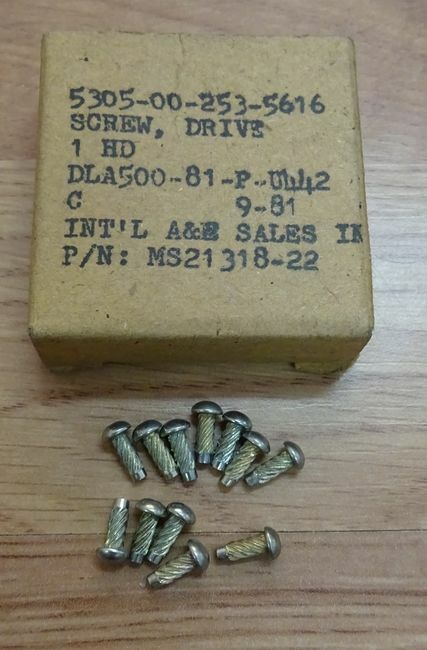 I have used these in attaching new repro dataplates on a Ford GPW jeep generator and starter which I restored. Hi Hinrik, welcome to the forum! I did not know we had fans in Iceland! and lack of commitment from the owner had led this place down.